David Forbes in his role as critic for Ethics & Democracy introduced Bill 606 The Election (Fairness and Accountability) Amendment Act, 2017 in November 2017. In May 2018, The Sk Party government defeated the bill on second reading. Saskatchewan’s outdated campaign finance laws have made this province the “wild west” of election fundraising, and despite this bill that is common sense and would bring the province’s laws in line with the rest of the country, the Sask. Party voted for more of the same. Our province has long had broken campaign finance laws that allow unlimited out-of-province donations, and the people of Saskatchewan have been calling for change. Over the past 10 years, the Sask. Party has received $12.61 million in corporate donations and, of that, $2.87 million has come from companies outside the province. By refusing to change these outdated laws, they are harming democracy and showing their true colours. Our campaign finance laws are the worst in the country and, under the Sask. Party, we’re actually falling further behind. Our proposal is common sense, is fair and ensures that Saskatchewan politics stay in the hands of Saskatchewan people. In April 2015, David Forbes in his role as critic for Diversity, Equality and Human Rights introduced Bill 612 The Respect for Diversity – Student Bill of Rights Act. Among other rights, this bill will ensure students who request a GSA (Gender and Sexuality Alliance or Gay-Straight Alliance) at school cannot be denied. It also gives students the right to have any cyber-bullying or other bullying concerns properly addressed by their school administration; and that students have the right to have any disability appropriately accommodated. “Jimmy’s Law” – An Act to amend The Occupational Health and Safety Act, 1993 to ensure greater safety for retail workers who work late night hours. In December 2011, Forbes introduced Jimmy’s Law, a bill to help protect workers’ physical safety during late-night shifts. The Law’s namesake is Jimmy Ray Wiebe who was shot twice in the early morning hours of June 20th, 2011 during his late night shift at a gas station in Yorkton. Jimmy’s Law was proposed as an amendment to the Occupational Health and Safety Act. The bill required employers to either schedule a minimum of two employees for late night shifts or ensure that an individual worker is safe behind a locked door or barrier. In November 2012, David’s hard work led to an increase in safety regulations for late-night retail workers. The government added new regulations that include a check-in system and personal emergency transmitters for all employees working alone in late-night retail establishments. While the changes fall short of Jimmy’s Law to make employers schedule at least two employees per shift at night, they’re still welcome. Posts on David’s work on Jimmy’s Law can be found here. Bill No. 601- An Act to amend The Occupational Health and Safety Act, 1993 to ensure greater safety for retail workers who work late night hours. In April 2011, Forbes introduced a second Private Member’s Bill, “The Saskatchewan Respectful Language Act,” which would see phrases and words such as ‘mental retardation,’ ‘retarded’ or ‘retard’ found in government legislation, regulations and materials replaced with the use of ‘intellectual disability.’ The law was based on President Barack Obama’s ‘Rosa’s Law.’ The legislation was re-introduced by government and passed into law on May 18th, 2011. 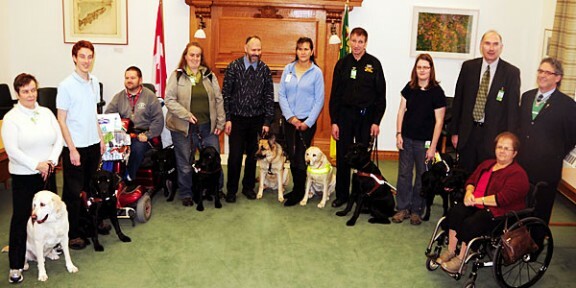 On November 10th, 2010, David introduced a Private Member’s Bill which would enhance the protection of service animals in Saskatchewan such as police dogs and guide dogs for those living with disabilities. One week after introducing this bill it became law as a part of The Animal Protection Act.